You must have read many books on diet plan for diabetics if you have tried to find a list of foods that diabetics must eat. There are 10 foods that they must eat.If you are a diabetic, you will be confused to see so many food options to choose from in front of you. 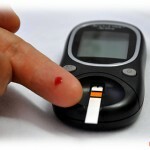 But there are some specific foods that every diabetic person must eat. 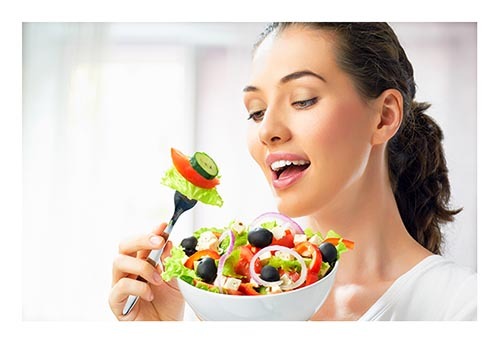 Eat lot of fresh vegetables, whole grains and lean meats. Factory foods are the ones that are processed first , flavored, preserved and then packaged finally for sale. These factory foods have ingredients that are not good for health, especially for diabetic people. The best examples of factory foods are foods that are sweetened with corn syrup or sugar. 1. Vegetables: Vegetables are packed with nutrients. They contain dietary fiber and lot of calories. When you fill your plate with lot of vegetables, it is like having small amount of simple saturated fats and carbohydrates. 2. Fruits: Fruits are just like vegetables when it comes to health advantages but apart from that they contain antioxidants, which help in protecting eyes, nerves and heat. 3. Beans: Beans are the best sources of fiber. Fiber makes you feel full and also slows down your digestion process. It is better to add a can of beans in all types of salad you have. Lentil, black beans and split pea are great for your lunch. 4. Cereal: Cereal is the best choice for breakfast, it contains maximum fiber. The best thing about cereal is, people who start their day with cereal tend to eat less during the day. 5. Fish: Fish is a great source of protein and a good alternate for meats of high fat. 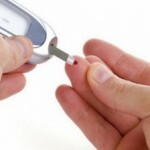 Low HDL and high triglycerides are a common problem among diabetics. Fish helps in improving this condition. Diabetic people should have 2 portions of fish in a week. Salmon, mackerel and tuna are the best fish for diabetics. 6. Chicken breast: Chicken breasts are normally low calorie foods and they are lean as well. It is also called as miracle food. They are not high in saturated fat content like steaks and hamburger. Turkey breast is also a wonderful option. 7. Nuts: Nuts are filled with good fats that are known to fight heart diseases. Nuts are the best source of vitamin and help to control the levels of blood sugar. They also contain fiber and magnesium, which are again useful in controlling blood sugar levels. Having limited amount of nuts helps diabetic people to lose weight. 8. Olive Oil: Olive oil also contains good fats, so it helps in keeping away the problems related to heart. Diabetics are recommended to use olive oil in cooking instead of butter. One should remember that even good fats can start accumulating weight, so watch what you eat carefully. 9. Yogurt: Yogurt contains proteins and it is best weight loss tool. People who eat foods that are rich in calcium find it easy to lose weight. Such people are not at a higher risk of becoming resistant to insulin. 10. Cinnamon: Cinnamon is a wonderful herb, it helps in lowering the blood sugar level.